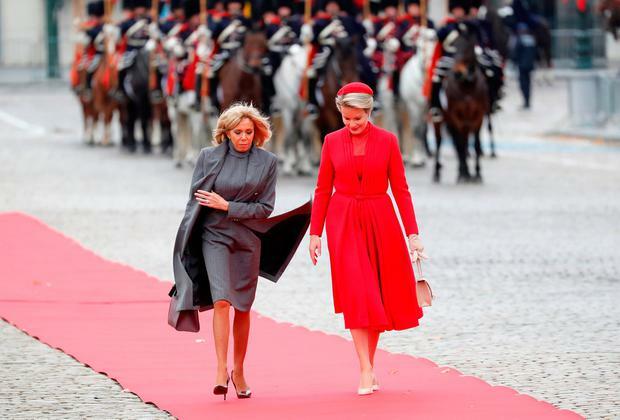 French first lady Brigitte Macron has mastered the art of subtle influence in a diplomatic role and it revolves around the importance of the right dress. 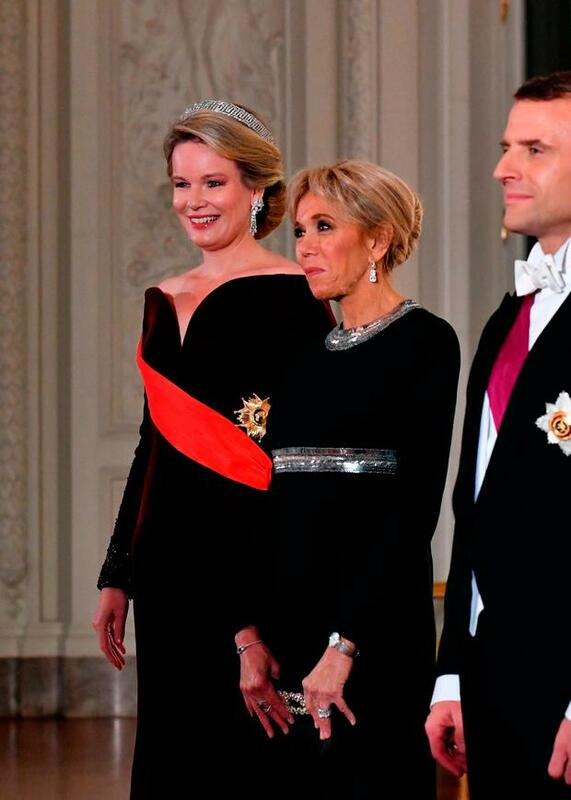 At 65, Brigitte has the life experience and the je ne sais quoi that only the French seem to possess that informs her wardrobe choices which are often subtle, elegant and yet still remain a talking point. She prefers Louis Vuitton, the luxury fashion house, for nearly all of her public appearances, proving that she is not only past the experimental fashion phase and truly knows best what works with her body, but also values supporting a French designer both at home and abroad. 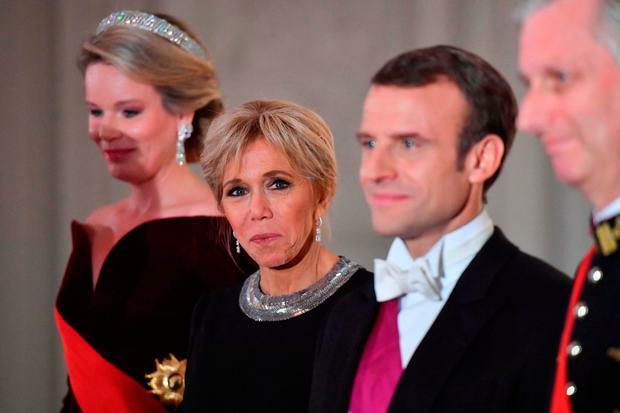 Brigitte and husband, French president Emmanuel Macron are currently in Belgium for a state visit and the mother-of-three put on a typically delicate display of-three at a state dinner with Belgium's monarchs King Philippe and Queen Mathilde. The round neck, long sleeve black dress was adorned with simple silver sequin trim and her jewels were a pair of diamond drop earrings, a diamond tennis bracelet, with her hair neatly styled in a chic chignon bun. Earlier in the day, she opted for a tweed dress and matching coat with velvet collar, a pair of metallic heels and two-tone City Steamer bag by Vuitton, and donning a bare leg - her signature daytime style - despite the incoming cold weather.